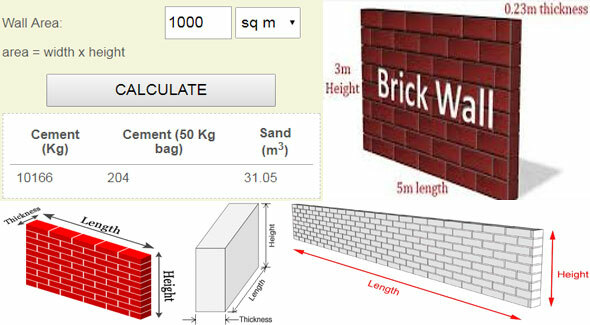 Wall Plaster Calculator is an effective online tool that can provide solution to your computation and conversion requirements. This calculator facilitates to work out the quantity of cement and sand necessary for plastering a specified wall area. As soon as the quantities are determined, it becomes simpler to work out the cost with the existing rates in your area. • Plastering depth should not be in excess of 12-15 mm.